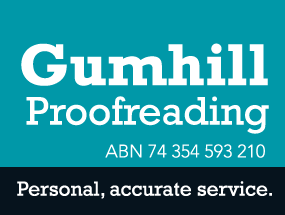 Hello, I’m Dianne Wadsworth, owner and operator of Gumhill Proofreading. Following a long and varied career in customer service, administration and working for not-for-profit organisations, I obtained a qualification in editing and proofreading, and Gumhill Proofreading was created in 2013. Providing proofreading services in: Frankston, Langwarrin, Mornington Peninsula, Victoria and Australia-wide.